This easy breakfast casserole will help you get a healthy, filling breakfast on the table. 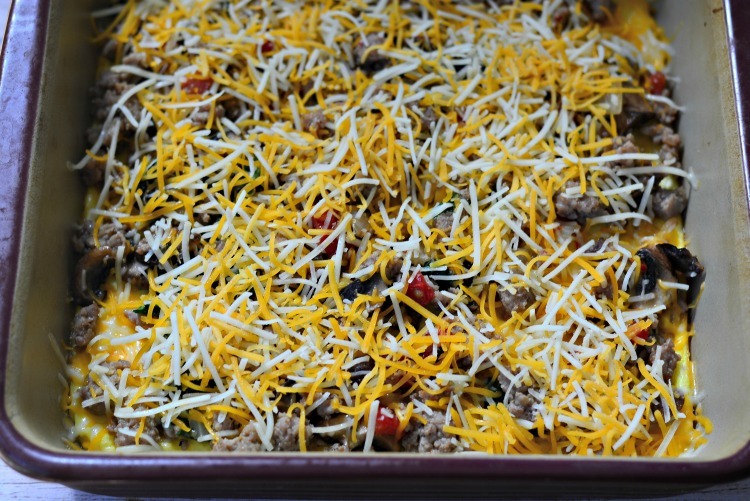 Add veggies, sausage, and Kraft cheese to a base of eggs and bake – while you enjoy your coffee! My favorite breakfast these days is scrambled eggs with sauteed vegetables. I love getting in tons of vegetables to start my day. 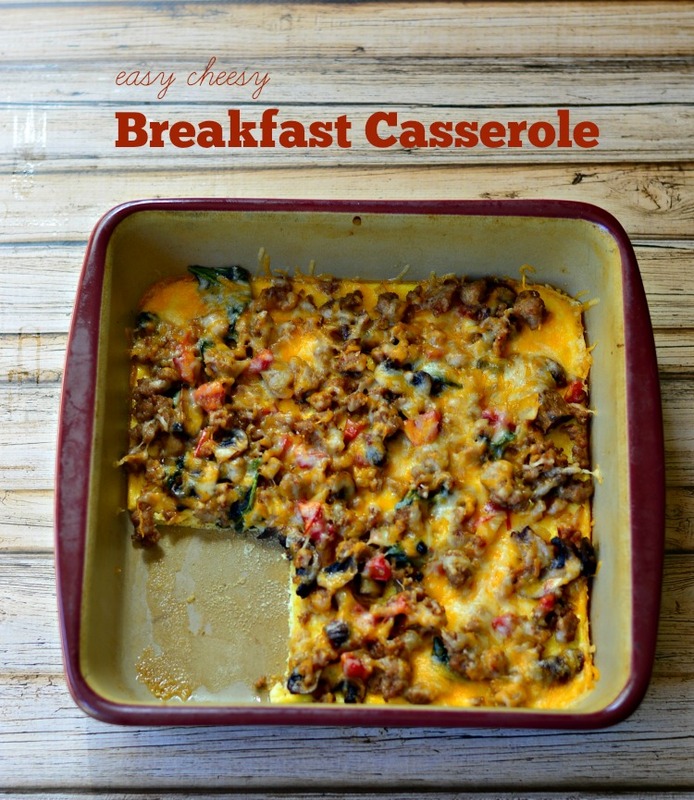 I decided to try something a little different and make a breakfast casserole instead. I figured I could add some sausage and cheese to the mix for a little added nutritional punch, too. I borrowed this recipe from the back of a bag of KRAFT Natural Shredded Cheese and made a few adjustments. 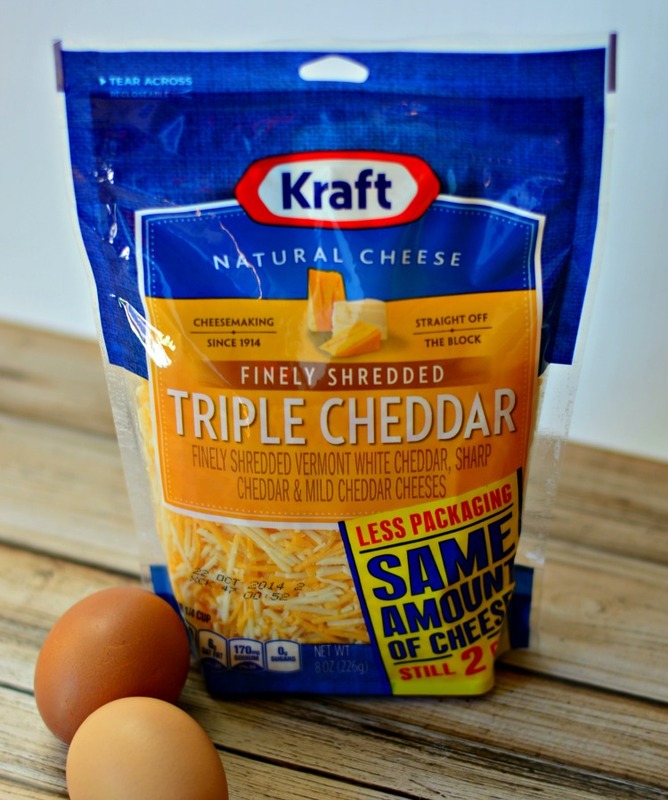 I love the new KRAFT Natural Shredded Cheese Stand-Up Pouch. It's a smaller package, so it takes up less space in the fridge. And it stands up on it's own making it easier to scoop the cheese. 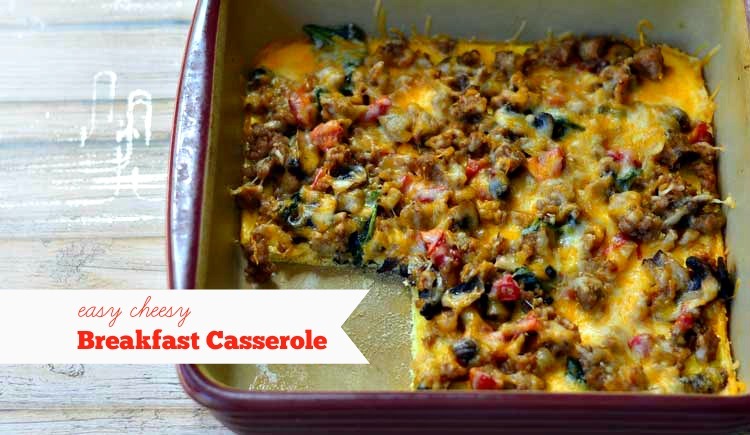 This breakfast casserole is quick and easy to throw together. 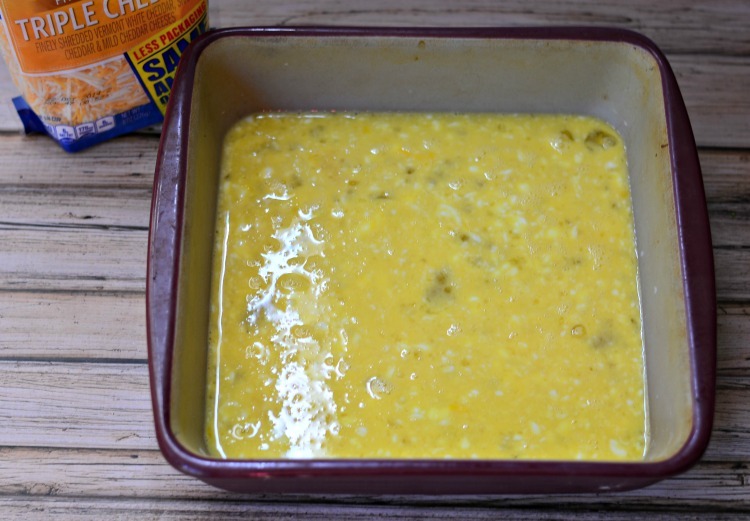 Mix the eggs and Greek yogurt and bake until the eggs just start to set. While the eggs bake, sauté breakfast sausage with your favorite veggies. I used onions, mushrooms, tomatoes and spinach. Spread the sauté mix on top of the eggs and then cover with KRAFT cheese. Put the casserole back in the oven and bake until eggs are set and the cheese is melted. Slice and serve! The slices are a bit on the thin side but they are packed with yumminess. You can double the recipe to make a 9 x 13 pan for a crowd, too. Pre-heat oven to 400 degrees. Grease an 8 or 9 inch casserole dish. Whisk together yogurt and eggs. Pour mixture in to prepared casserole dish. Bake for 10 minutes or until mixture soft but set. Meanwhile, saute the onions and mushrooms in a frying pan. Add the breakfast sausage when the onion are just turning translucent. Add in spinach and cook just until wilted. Remove from heat. When eggs are done, remove from oven and reduce heat to 325 degrees. Cover the eggs with tomatoes, sausage mixture and then the cheese. Bake until the cheese is melted and eggs have finished setting up about 30 minutes.